Firstly, Red Box Engineering offers metal prototyping in Southampton, Eastleigh and throughout the UK. A cost-effective and on-demand metal prototyping solution is provided by Red Box Engineering. Companies rely on the quick production of prototype parts and assemblies. We have the machines, the metal prototyping capabilities, experience and software to take your prototype designs and turn them into reality in an efficient and expedient manor. 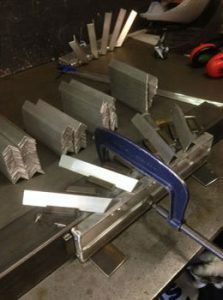 If the project is just a one off, or it is intended to be mass produced, we don’t just create the parts, we offer advice on whether the design is cost effective to produce. As a result, Red Box’s experienced prototyping team often recommend small changes that mean the products can be manufactured easier thus reducing cost and hopefully increasing profit. Red Box Engineering provide steel and metal prototyping in Southampton, Eastleigh, Totton, Hampshire and throughout the UK. Users can also contact us by filling in our online enquiry form. Red Box Engineering in partnership with Red Box International offer a complete metal prototype service. Our team offer a wealth of experience in steel design, metal fabrication, electrical design and general engineering. As a result, our team is on hand to bring your ideas and designs to life, we also offer advice and quoting on ongoing manufacturing costs. 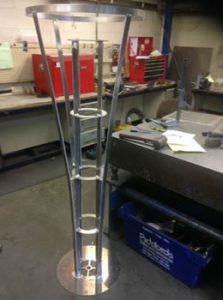 Finally, to see our previous steel designs visit www.redboxaviation.com, or visit our Projects page. Contact the Red Box team all general prototyping or metal prototyping enquiries. In addition, to view Red Box’s other fantastic range of metal fabrication capabilities please visit our Capabilities page. So, if you are based in Southampton, Eastleigh, Totton, Hampshire or throughout the UK, get in touch today.